WILDWOOD – The energy, excitement, and exhilaration was unprecedented at the third annual IGNITE youth conference on Sept. 30-Oct. 2. 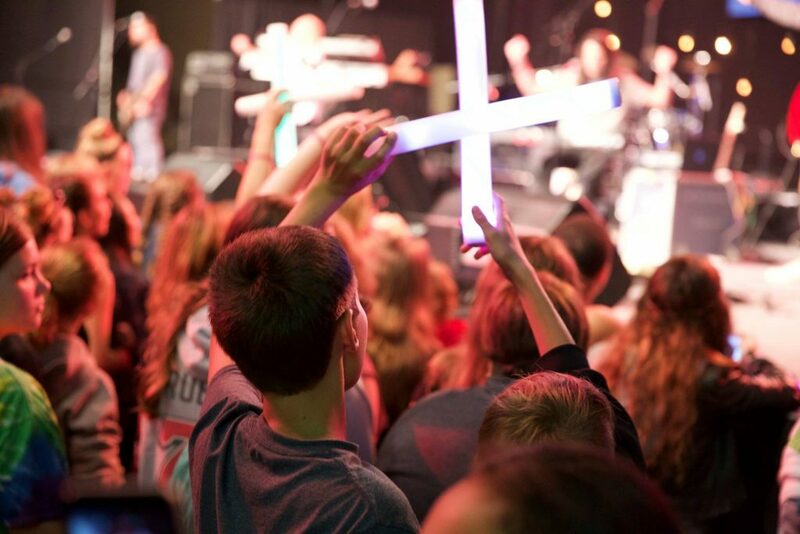 Approximately 1,200 youth attended the event at the Wildwoods Convention Center under the theme of “Let There Be Light” based on the Bible verse 1 Thessalonians 5:5 which says, “You are all children of the light and children of the day. We do not belong to the night or to the darkness.” Bellarive, the popular Christian worship band that performed throughout the conference, also has a song titled “Let There Be Light” off of their latest record which helped to tie the theme together musically. Featured speaker William Green, an Atlantic City native and former NFL star, shared his inspiring testimony of finding abundant life, not in a career, success, or another person but solely in God. The evening proved monumental in the lives of hundreds of youth as they stood up and made first-time or renewed commitments to Jesus Christ. This year, IGNITE attendance grew tremendously, and for Director of Worship and IGNITE coordinator, Eric Drew, that was worth celebrating. The success of IGNITE 2016 came in part due to the diversity of featured voices from various backgrounds, perspectives, and places. From renowned Christian author and speaker Laurie Polich Short to nationally recognized artists like Christian pop rock worship band Bellarive, multiple-award winning, critically acclaimed powerhouse vocalist, Blanca, and Christian hip-hop artist Derek Minor, the variety was unmistakable. Drew attended Bellarive’s meet and greet workshop where for over an hour the band members took questions from youth ranging from hair care to first dates to encountering Jesus for the first time. According to an analysis of IGNITE’s growing social media, having Bellarive as the event’s worship band proved to be a favorite for youth. Preston Centuolo, a New Jersey native, storyteller, and pastor emceed the event and kicked off Friday night by introducing speaker Seth Franco. A former Harlem Globetrotter, Franco’s personal testimony wove through a powerful message that encouraged youth never to give up. “The light of the mountaintop wouldn’t be the same if we didn’t first go through the dark valley to get there,” Franco said. Highlights of the weekend included pick up basketball games with Bishop Schol, workshops and breakout sessions for both youth and leaders, stellar performances from Blanca and Derek Minor, and a letter writing mission activity with The ONE Campaign. At the popular open mic coffee house on Saturday afternoon, several youth performed and sang cover songs from Grace VanderWaal, the 12-year-old winner of NBC’s “America’s Got Talent” and member of Archer UMC in Allendale. “This was our first time at IGNITE and it was amazing,” said Pastor Zach Wooten from First UMC of Mount Holly. “The IGNITE leadership team brought energy, hospitality, and excitement to such a wonderful weekend. It was clear from their preparation and passion that this event mattered to leadership in our conference. My District Superintendent and our Bishop were both in attendance and having a blast. As a person passionate about youth ministry, their presence was extremely meaningful to me.” Wooten enjoyed watching students from his church connecting with and forming relationships with other youth in GNJ. The student response to IGNITE was overwhelming.